Select a base language you want to create the new language from. Enter the unique Language ID. Enter the unique Language Title. 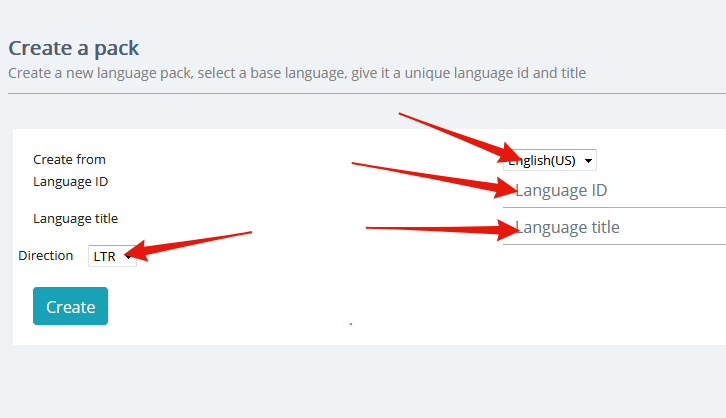 Click on “Create” to submit the new Language Pack.